For everybody who wants to create a good and attracting website, many people spend a lot of money on building a website from a large website builder who makes a website through HTML coding. But you do not have to do that, people can create good and attracting websites themselves. For this, they do not need to spend money out of it. By installing elementor plugin in WordPress, this can be a good page. How to Create a Good WordPress Page Builder follow My Step. 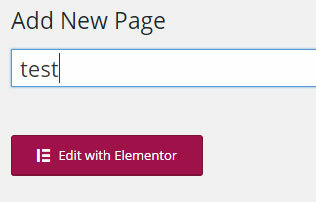 New Page edits with elementor:- Go to ‘Pages’ > ‘Add new’. Then, click the ‘Edit with Elementor’ button. Add a widget:-Let us try adding a new widget into a page. 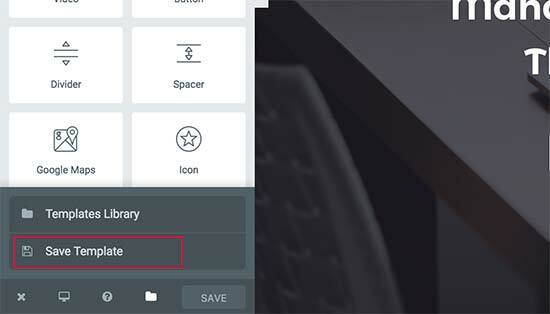 Delete one of the widgets in the template you have inserted by clicking on the widget and then clicking on the X icon. Then, in the left panel, search for the button widget and open source drag and drop website builder it into the empty area where you have just deleted the widget. Elementor Template Insert:- You should now be inside the Elementor editor. Click ‘Add template’ and select from the wide array of free and paid templates. It is advised to start with a template to get to know how the other elements of the page are built. Make the template full-width:- You can build any page in Elementor full width by going to Section > Layout, and switch Stretch Section to Yes. Change the background image:- Click on one of the sections. This will open the section settings on the left panel. Go to the middle ‘Style’ tab, and click on the background image. Now, select other images, and press ‘insert Media’. Understand the structure of Elementor:- All Elementor page is made up of sections, columns, and widgets. Sections divide the page into horizontal rows. Columns divide each section into vertical columns, and widgets are dragged and dropped inside the column. Change fonts:- Go to a heading widget on the page and click on it. It will open the heading settings on the left panel. Go to the middle ‘Style’ tab, and switch on ‘Typography’. Now, under ‘Family’, you can browse through the various fonts and select a different font family. The free Elementor page builder is the perfect addition to Base Theme and adds a long list of design capabilities that does wonders for the web designer’s workflow. It let us you WordPress site builder much faster than ever before. Template library to save your designed pages for reuse and for export. 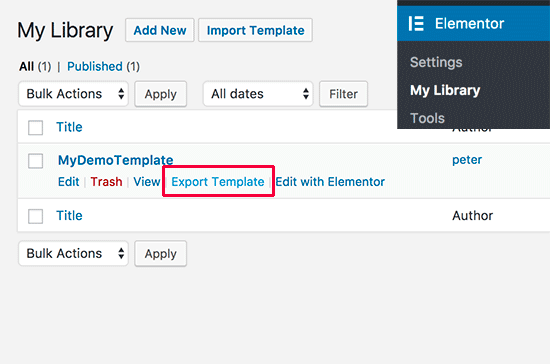 Elementor allows you to save your own custom layouts as templates. 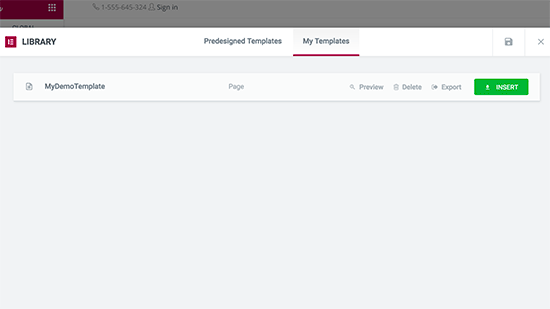 This way you can reuse your own templates to make new pages even faster in the future.Simply edit the page you would like to save as a template with Elementor. In the Elementor builder interface, click on the folder icon next to the save button and then select ‘Save template’.